Iran, China, France, Russia, the UK, the US and Germany came together to sign the Joint Comprehensive Plan of Action (JCPOA), also known as the Iran nuclear deal. But it is the US, the EU and Iran that will decide its destiny. The JCPOA has become a source of major disagreements between the US and its old transatlantic partner, the EU. Meanwhile, Iranian leaders have ratcheted up their threats regarding the deal. This week, Ali Akbar Salehi, the top official at Iran’s Atomic Energy Organization, warned that if the deal collapses, his country will resume its nuclear activities and uranium-enrichment program. But despite Tehran’s stern warnings, maintaining the deal is crucial to it because the JCPOA has provided Iran with economic relief, trade, business deals and revenue. As such, Tehran has been looking to the EU to help maintain the nuclear deal. The EU appears determined to help salvage it. On Wednesday, EU foreign policy chief Federica Mogherini, who met Iranian Foreign Minister Javad Zarif in Geneva, reiterated the bloc’s support for maintaining the deal. Recently, the EU introduced a plan to facilitate payments to Iran via a new mechanism. The barter program is designed to help Tehran circumvent US sanctions. When Iran exports products to the EU, the bloc will pay with goods and services of the same monetary value. The JCPOA may be alive on paper, but in reality it died when US sanctions were re-imposed on Iran’s energy and banking sectors. The EU is trying to pursue a policy that preserves its economic interests, including trade and business deals with Iran. 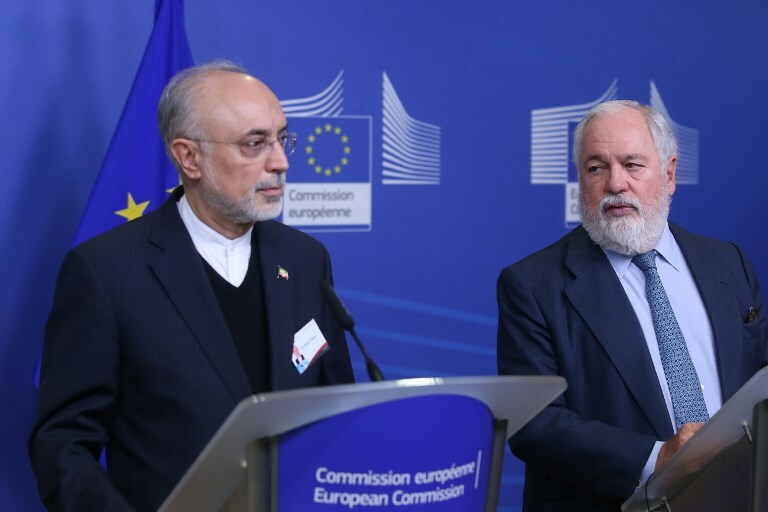 In the coming months, the EU will likely amplify this policy by investing significant political capital in maintaining the nuclear deal and satisfying Tehran’s demands by shielding the regime from sanctions. Will the EU succeed? The US plays a vital role when it comes to addressing this question. US President Donald Trump has made good on his pledge to oppose the nuclear deal and re-impose economic sanctions on Tehran. The US withdrawal from the deal, and the subsequent renewal of sanctions, have significantly damaged the JCPOA and put an unprecedented amount of economic and political pressure on Tehran. As a result of US sanctions, many foreign companies have abandoned their projects and taken immediate action to back out of the Iranian market. Iran’s oil revenues have already begun sinking and will likely continue to do so. Its currency has plummeted to new lows, trading at more than 150,000 rials to the dollar. These developments have provoked further protests over the economy in various Iranian cities; this has become the norm in recent months. The regime’s hold on power appears to be in danger as many ordinary Iranians blame it for the economic crisis. In the nuclear triangle comprising the US, the EU and Iran, the US appears to have emerged the winner. The JCPOA may be alive on paper, but in reality it died when US sanctions were re-imposed on Iran’s energy and banking sectors. And sooner or later, Tehran will find that the EU cannot continue to satisfy its economic demands.